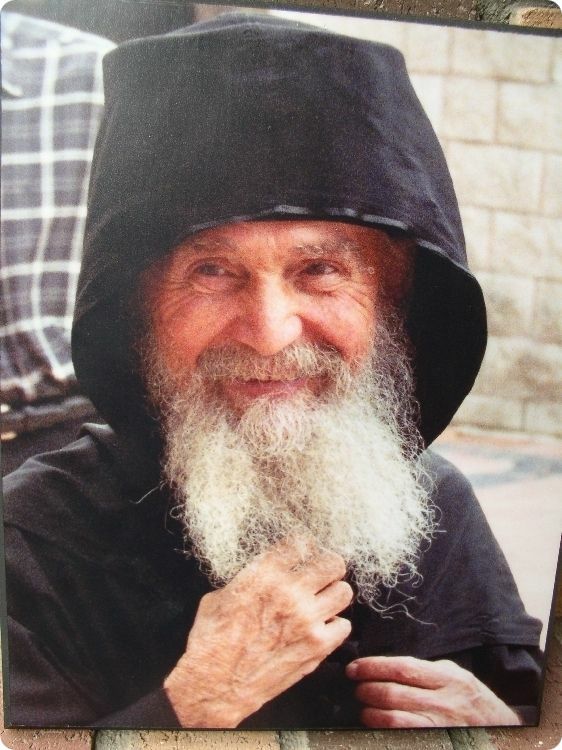 During the Holy Divine Liturgy the Priest exclaims in prayer: "Remembering our most holy, pure, blessed and glorious Lady, the Theotokos and ever-virgin Mary, with all the saints, let us commit ourselves and one another and our whole life to Christ our God". The response by the people is: "To Thee, O Lord". 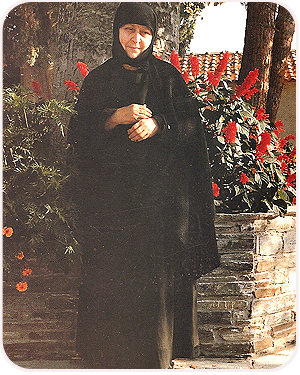 Many people have e-mailed me about the teachings of the Most Holy Ever-Virgin Mary Mother of God, from an Eastern Orthodox point of view. The Ever-Virgin Mary (Aeiparthenos), the Most Holy Theotokos or the Birthgiver of God, and finally also called the Panaghia (All Holy Lady). Without a doubt, the event of Christ our Lord and Savior is the central focus of our history of salvation. These events of the life Christ our Lord and true God is fully understood also by those who have experienced its awesome reality. In our Eastern Orthodox faith we turn fervently to the most beloved Mother of our Savior Jesus Christ, asking her to pray for us, but only in the since of intercession on our humble behalf. We of course too look to the holy apostles, saints, the martyrs and the holy prophets whom we often ask to humbly pray for us sinners, just as we ask one another for prayers. 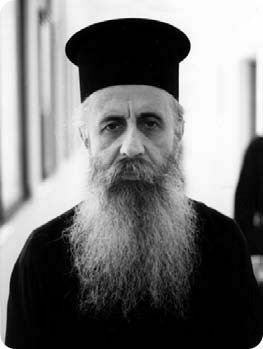 We need to fully understand that in order to know the Mother of God, we must look to both Holy Tradition, and to Holy Scripture, as well as to the teachings of the holy Fathers of our Church, in addition to the results of the teachings of the Ecumenical Councils, that fully and spiritually give the Eastern Orthodox Christians an understanding and as well spiritual guide lines in knowing the Ever-Virgin Mary. It's impossible to speak of the Most Holy Theotokos without fully understanding the teachings of our Holy Fathers of the Church. To as well neglect the results of the Ecumenical Councils, and these teachings are available, is to only to confuse ourselves as we then forget the theological aspects of the life of the Ever-Virgin Mary, the role she humbly offered in the life of the early Church which has been well explored and depicted. At the same time we must look closer to the Liturgical life of the Church as to the hymns (hymnography) offered to the Mother of God, we begin to realize spiritually that the Most Holy Theotokos is much loved by the Church. We can also piously note the iconography of the Panaghia in which we have so many different icons. 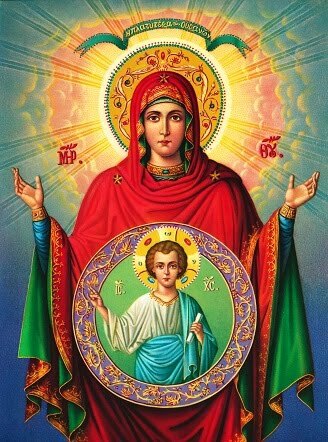 When we gaze at the holy icons of the Theotokos we note a woman who also wears a modest expression and whose body gestures toward Christ, who in every way attempts to direct the attention of others towards Christ: her eyes on Him, her hands pointing to Him, her head bowed toward Him. Very seldom we might note that we do not see the Ever-Virgin Mary without the Christ Child, but in some Orthodox iconography we notice the Theotokos in such as the icon of the "Joy Of All Who Sorrow", and the "Protection Of The Mother Of God". Finally we have learned that the Mother of God prayed during the life time of Christ our Lord, and we have accounts even from several holy Fathers of the Church that the Mother of God prayed on a daily basis, after the Holy Ascension of our Lord, as the Ever-Virgin Mary, continued spiritually to pray and others joined with her on a daily basis. Most Holy Mother Of God,Save Us! Question: Why do you pray to the Mother of God? Answer: Since Jesus Christ died on the Cross and rose from the dead, conquering death for us, there is no reason why we cannot ask those in heaven to pray for us just as we ask those still living on earth for their prayers. After all, in Christ all are alive. Therefore we ask the Ever-Virgin Mary to pray to her Son for us, just as we also ask the angels, the saints, and all the faithful believers here on earth to pray on our behalf, as Scripture commands us to do: "I exhort therefore, that, first of all, supplications, and giving of thanks, be made for all men... I will therefore, that men pray everywhere" (I Timothy 2:1,8). We turn readily to our friends and neighbors to ask for their prayers in our time of need; are not those in heaven even more our friends than those on earth? Why should they not intercede for us also before the throne of God? 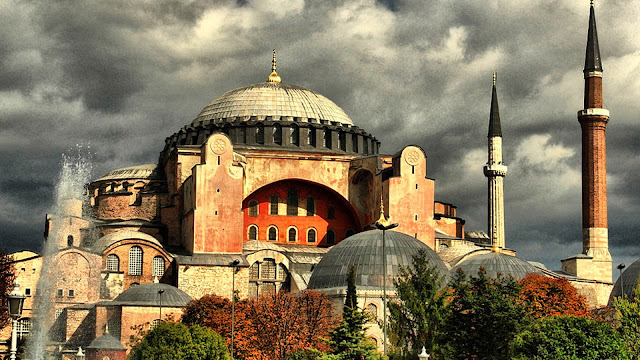 Question: Why do Orthodox Christians call the Virgin Mary "Mother of God"? This term seems to imply that God is not the the creator and origin of all things. Answer: We call the Holy Virgin Mary the Mother of God (from the Greek, Theotokos: literally, the "Birthgiver of God") because it is Scriptural: the righteous Elizabeth addressed the Virgin with these words: "And whence is this to me, that the Mother of my Lord should come to me" (St. Luke 1:43). Who is this "Lord" of which Elizabeth speaks? 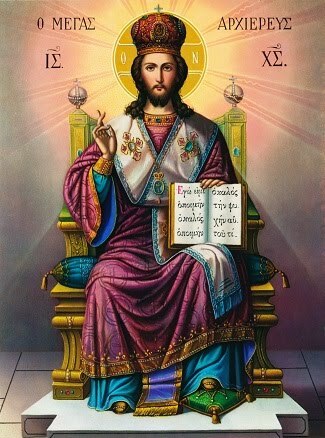 It is Christ, the Lord God. For this reason we say, correctly, that the Virgin Mary is the Mother of God. She is not the Mother of God the Father, but the Mother of God the Son, who was begotten by the Father before all ages, and took flesh from the Virgin Mary. 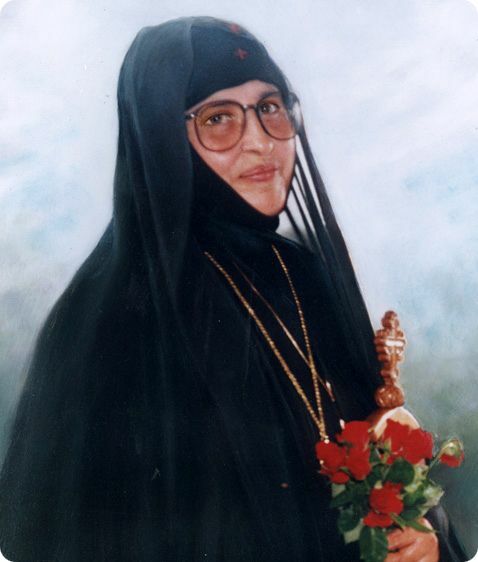 Question: Why do Orthodox Christians give so much honor to the Mother of God? Answer: We honor her because Jesus Christ Himself honored her on several occasions recorded in Scripture. He fulfilled her requests and also gave her special thought even while He was dying on the cross (St. Luke 2:51; St. John 2:3-9; St. John 19: 26-27). Even before Christ was born, she was honored by heaven when the Archangel Gabriel appeared and said to her: "Hail, thou that art highly favored, the Lord is with thee: blessed art thou among women" (St. Luke 1:28). Holy Scripture further proclaims of her that "henceforth all generations shall call me blessed" (St. Luke 1:48), because from her womb came froth God in the flesh. This means that all who believe in Christ and in the Bible must give special honor and veneration to the one that is "blessed among women." It is not enough to merely give attention to her at Christmas-time, when she appears in the manger scenes of western Christian churches. No, this "highly favored one" must occupy a very special place in the hearts of those that follow her Son, just as she did among the first Christians. Question: Didn't our Lord, during His earthly life, sometimes place His mother (and His other kinsmen) in a decidedly secondary position, emphasizing spiritual virtues over kinship according to the flesh? Answer: No one who accepts the Gospel can believe that our Lord was in any way lacking respect for His mother. And seeming disrespect on His part can only be due to a faulty, superficial interpretation of Scripture, due sometimes to understandably imperfect translations into modern languages. When, for example, at the marriage of Cana, His mother tells Him: "The have no wine," and our Lord replies: "Women, what have I do to with thee?" 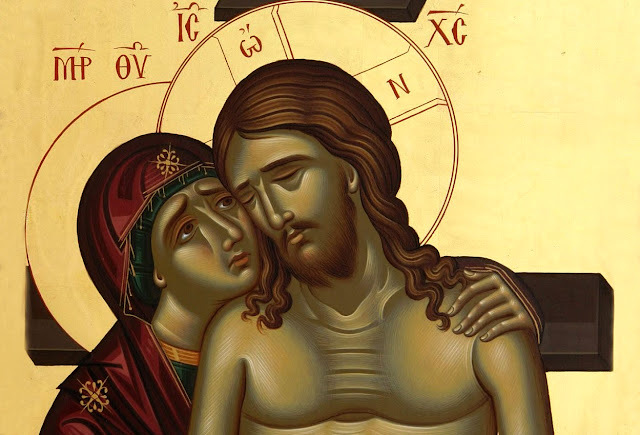 (St. John 2:4) -one must understand that although the word "woman" might sound disrespectful in modern English, it was not so in the ancient East; it is the very word our Lord used to address His mother as He was dying on the Cross and entrusted her to His beloved disciple (St. John 19:26). His words to her at the marriage feast in no way indicate disrespect, but only emphasize the importance to the miracle which was to follow (the changing of water into wine) -a miracle which He indeed performed at her request. 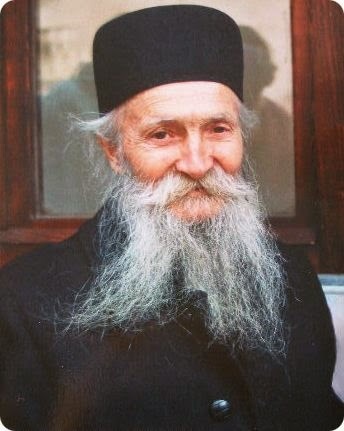 When our Lord extends the concept of spiritual kinship to all those who "do the will of God," (St. Mark 3:34) He does not deny such a higher kinship to His own family; we know of several of His kinsmen who were Apostles (James, Jude, Simon), and especially "blessed" in this spiritual kinship, of course, was His own mother, of whom alone does the Scriptures say that "all generations shall call me blessed" (St. Luke 1:48). Again, when a certain woman praises His mother for being the one who bore Him, and our Lord says, "Yea, rather, blessed are they that hear the word of God, and keep it" (St. Luke 11:28), He is clearly raising the minds of His listeners to a higher degree of veneration for His mother: she is blessed not only for hearing Him in the flesh, but even more for being who "hears the word of God and keeps it." Question: Yet in your church services I have heard Orthodox Christians call on the Mother of God to "save" them. How can she "save" anyone, since Christ is the only Savior? Answer: We believe that there is only one Lord God and Savior of mankind, Jesus Christ, no one is equal to Him, and no one but Him can save mankind. We do not turn to Mary, the Mother of Christ our God and Savior, and we certainly do not put her on the same level as her son, but we turn to her as to one who helps us by her prayers, just as St. Paul himself said that he had become all things to all men, "that I might by all means and in any way save them" (I Corinthians 9:22). St. Paul was not claiming to usurp Christ as the Savior; he merely wanted to help and strengthen others on the path to salvation. It is in this sense that we Orthodox Christians say, "Most Holy Mother of God, save us"-that is, "Please help us toward salvation by your prayers."